The El Cid Neighborhood had its beginnings in 1875 when Benjamin Lainhart, the first permanent resident of the western shore of Lake Worth, built a cabin near Barcelona Road. 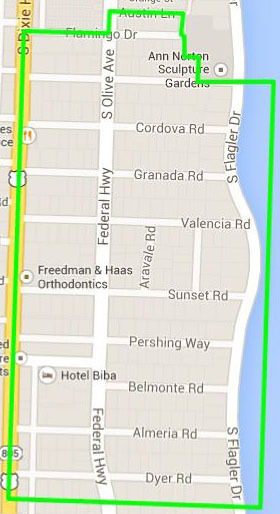 The neighborhood came of age 50 years later during the 1920's Florida land boom. 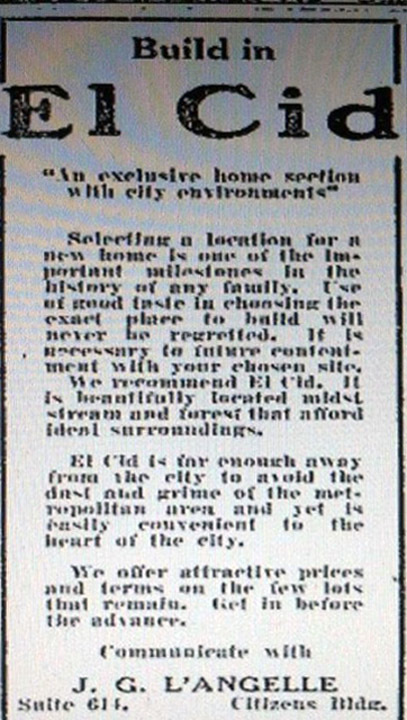 The El Cid District is listed on the local, State, and National Register of Historic Places. With a concentration of outstanding period architecture combined with the community’s dedication to preserving its history, the neighborhood attracts professionals and business owners proud to call El Cid home. To learn more about our history, click here. There will not be a Home Tour in 2018. The next home tour, when scheduled, will be announced on this page. Regular - $60 per household. Regular Members, who must be permanent residents of the neighborhood, shall have full voting rights; can serve as Officers and Directors, can chair committees; shall receive all newsletters, meeting notices, and other communications, and can participate in all other activities. Associate - $60 per person. Associate Members cannot vote, cannot serve as Officers and Directors, cannot chair committees, but shall receive all newsletters, meeting notices and other communications, and can participate in all other activities. Business/Merchant - $60. Businesses are eligible for Business/Merchant Membership and will be entitled to the same benefits as Associate Members. All proceeds raised go toward fulfilling our mission and meeting the needs of our residents. Dues support maintenance and beautification of the landscape and hardscape in our common areas. To contact us, please email info@elcidhistoric.org. 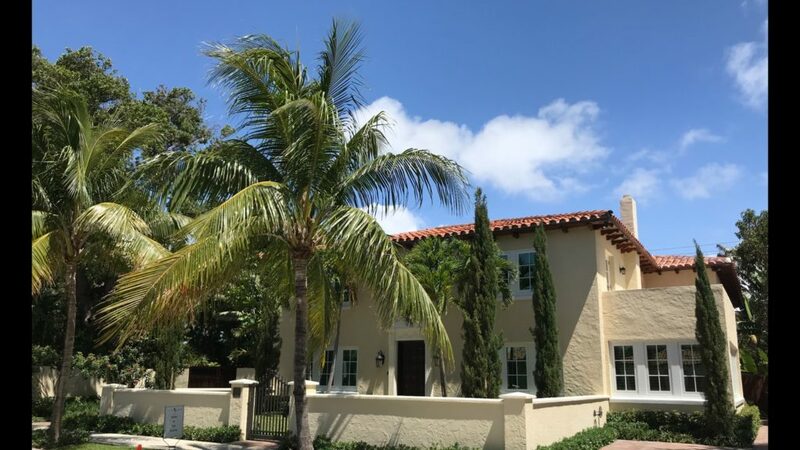 Congratulations to the owners of 2421 S Flagler Drive, you are our March 2019 Home of the Month!! Congratulations to the owners of 275 Valencia Road, you are our February 2019 Home of the Month!! Congratulations to the owners of 313 Sunset Road, you are our January 2019 Home of the Month!! Congratulations to the owners of 293 Barcelona Road, you are our December 2018 Home of the Month!! Congratulations to the owners of 349 Granada Road, you are our November 2018 Home of the Month!! Congratulations to the owners of 2416 Medina Way, you are our October 2018 Home of the Month!! Congratulations to the owners of 245 Valencia Road, you are our September 2018 Home of the Month!! Congratulations to the owners of 308 Barcelona Road, you are our August 2018 Home of the Month!! Congratulations to the owners of 255 Cordova Road, you are our July 2018 Home of the Month!! Congratulations to the owners of 194 Sunset Road, you are our June 2018 Home of the Month!! Congratulations to the owners of 327 Dyer Road, you are our May 2018 Home of the Month!! I would like to thank all of you who supported our efforts by attending the meeting and/or voicing your concerns about the CMX zoning. The Planning Board heard our concerns with six of the seven members agreeing that they could not endorse the City Planners' recommendations. This isn’t the final victory but it certainly feels great to know that when we unite our voices are heard loud and clear and that it carries some weight. We will keep you informed and prepared for the next round...please stay tuned!